River Birch Tree For Sale - Low Prices Online, fast ship! River Birch Tree - Betula nigra. Native to the eastern areas of the United States, the River Birch is a fast growing, prevalent birch tree. It can grow at a rate of two to three feet every year. The River Birch can reach between 30 to 50 feet in height and 25 to 40 feet in width. It can quickly adapt to both dry and wet soil and is drought tolerant. Its sturdy branches make the tree resistant to both wind and ice. If the bark peels, it displays a beautiful salmon-colored skin underneath. It is adorned with glossy, green leaves that are triangular and are two to three inches in length. 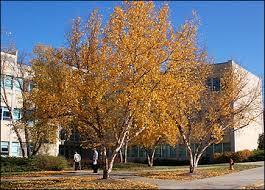 The River Birch tends to grow naturally near river banks but can be grown almost anywhere in the United States. During the early years of the tree it will provide spotted light shade, but as it matures, it will be able to provide moderate shade. Its appeal is its interesting compliment on any scenery. As you observe this trees life, you will notice that it grows around 13 to 24 inches a year. The Betula Nigra loves the sunlight so when choosing a home for it find a spot that gets at minimum 6 hours of sunlight. If it has to, it can tolerate some shade. The River Birch shows the most success when its grown in loamy, sandy, acidic, well-drained soils and clay soils. It can deal with a conservative amount of flooding and even a limited amount of drought. When the temperatures are hot, it will appreciate it if you provide additional watering. The leaves are somewhat triangular and are typically a deep green color. The foliage is enjoyed by whitetail deer and other browsing animals. Songbirds love the seeds that the trees produce. As the tree matures, the bark will become a cinnamon brown color that will curl and peel off in time. It's also known as the most borer resistant birch available. 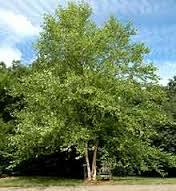 River Birch Tree is part of the birch family of trees. As its name suggests, you will often find this beautiful and unique tree growing along the sides of riverbanks, but it is a tolerant tree that can be used in a variety of settings. Its cinnamon colored, curling bark is distinctive of its species and makes it both an ornamental and a shade tree. The River Birch seedlings can be delivered to your home or yard and used for shade, decoration or on hillsides and riverbanks to prevent erosion. Once the seedlings mature you will see brown and green catkins growing in April and May, then the tree will produce tiny nutlets May until June. River Birch is a favorite. What a favorite and beautiful tree! Many are drawn to the ornamental appeal of the gentle limbs and unique bark. The cinnamon-colored bark appears to be peeling away from the trunk. Multiple trunks grow closer to one another. River Birch Is A Hardy Tree. River Birch trees are very tolerant and can grow well in both wet and dry soils, but very alkaline soils should be avoided. Compared to others, this tree is considered short-lived. With its brilliantly colored leaves in the fall, this tree is a beauty to behold. 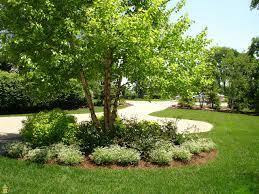 River Birch is excellent to plant near swamps or river's edge. Because this tree thrives with sufficient water, this tree can make an excellent addition to a river bank or muddy area. No significant pests are attracted to this tree. It is commonly referred to as perennial. In the Spring, this tree starts its active growth period.